“One minute I was walking with the trainer’s assistance and, while they stopped, I continued walking on my own." -- Kelly Thomas, research participant at the University of Louisville. Historic. That is the best word to describe what is happening in spinal cord research. Since 1982, the Christopher & Dana Reeve Foundation has been on the frontlines of pursuing the best and most promising science to speed the development of treatments and therapies for spinal cord injury. We made a promise to never stop until cures were discovered and, today, we have taken a quantum leap forward. Over the years, the Reeve Foundation has invested more than $138 million in labs around the world to unite the brightest minds and accelerate scientific discovery. It is thanks to the Reeve Foundation’s persistence that cures for spinal cord injury are no longer the impossible dream, but a near-term reality. When the idea of epidural stimulation was first introduced, many refused to believe that technology could give rise to effective therapies for paralysis. It wasn’t until Rob Summers -- the first participant -- that our eyes were opened to what was possible in a way we never imagined. We thought it was the biggest breakthrough of all time. And, it was...until now. Dr. Reggie Edgerton is one of the founders of modern day spinal cord research and the Reeve Foundation has been proud to support his lab over the years. Many of the recent advancements in spinal cord stimulation can be traced directly back to his work and mentorship of prominent scientists like Dr. Susan Harkema and Dr. Grégoire Courtine. Today, Dr. Edgerton along with researchers from the Mayo Clinic and UCLA unveiled new research in the scientific journal Nature Medicine.Through the application of epidural stimulation in combination with task-specific training, a young man living with chronic complete paraplegia recovered the ability to step over ground while using a front-wheeled walker with trainers providing only sporadic assistance. Additionally, he was able to take bilateral steps on a treadmill. This research not only highlights the importance of epidural stimulation, but also speaks to the critical role of rehabilitation. While the participant was unable to move when the device was off, he saw prolonged gains after dynamic training and activity-based therapy were integrated with stimulation. The stimulator may excite the spinal cord, but rehab strengthens the recovery. It’s hard to put into words the magnitude of this discovery and what it means to families impacted by paralysis. This study was born from decades of research by a cadre of neuroscientists, including Dr. Edgerton who refused to believe that the spinal cord is merely a humble messenger, carrying signals from the brain. Instead, with this paper and countless others, he has demonstrated that the spinal cord is smart and can process information, generate patterns, adapt and learn. Dr. Susan Harkema and the University of Louisville also have a groundbreaking paper that was published today in the New England Journal of Medicine (NEJM). The paper details how epidural stimulation can foster greater brain-to-spine connectivity in individuals with chronic complete paralysis. 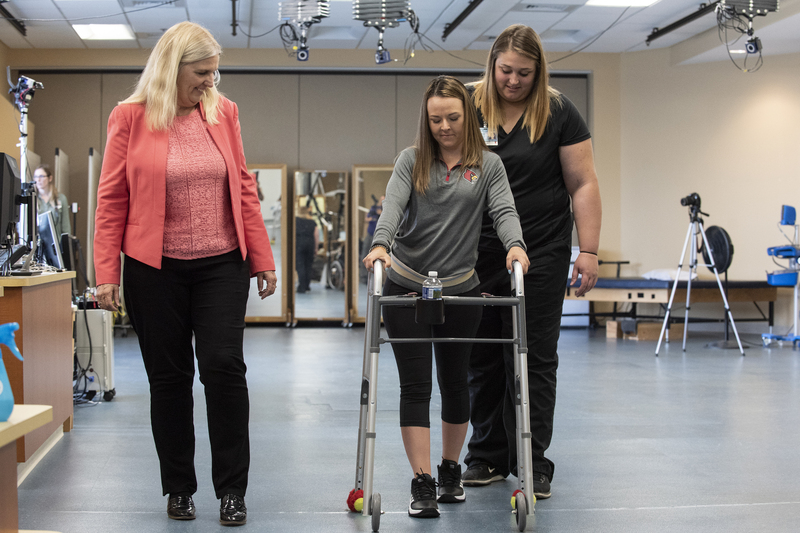 As a result of that connection, two of the four research participants featured in the paper are able to walk over ground with a walker and no physical assistance. In addition, all four participants achieved independent standing and trunk stability while maintaining their mental focus, which is defined as purposefully wanting to pick up their foot or leg to take steps. In less than a decade, epidural stimulation has transformed our understanding of “complete” injuries and suggests that spinal cord injury may no longer mean a lifelong sentence of paralysis. It is fitting that these papers were unveiled on the eve of Christopher Reeve’s 66th birthday. He had the foresight to believe that cures for spinal cord injury were not only possible, they were inevitable and he spent the last years of his life motivating scientists to work harder, smarter and in greater collaboration. It is thanks to his legacy and the work of countless others across our board, staff, and greater community that our mission -- today’s care, tomorrow’s cure -- is rapidly transforming into today’s care, today’s cure. Back in 2011, after the Lancet paper featuring Rob was first published, many of us feared the gains he made could not be replicated. 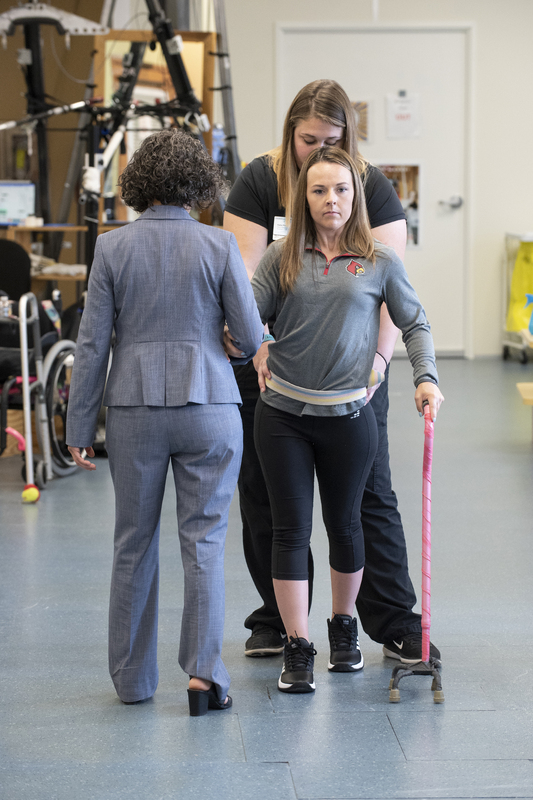 Thirteen individuals have since undergone epidural stimulation at the University of Louisville as have others at the Mayo Clinic and at UCLA. All have shown improvements ranging from enhanced autonomic functions to standing and now stepping. We have yet to fully tap the potential of this technology and that is why The Big Idea is a vital next step to usher epidural stimulation from the lab to the community by providing irrefutable evidence of its effectiveness. The Big Idea is well under way with research candidates being screened and enrolled, but it is critical that we raise the remaining funds as quickly as possible. While Rob was the spark that started it all, he is now one of many stories of recovery. But we do not want dozens of people accessing this technology, we want hundreds of thousands who are able to reclaim their lives and celebrate greater health and independence as result of our efforts. Science doesn’t rest. There is always more to uncover, to learn and discover. And so, we must never rest, never falter, and never take a break because there are so many people counting on us to change their lives. Note: There are companies and clinics in other parts of the world that are falsely advertising epidural stimulation treatments and may pose a danger to the paralysis community. Please read the Reeve Foundation's statement on off-shore stimulation treatments.